I absolutely love Katie Fforde’s style of writing, I have never found anyone who writes in a similar style. This book, just like the rest of Katie Ffordes books has you instantly absorbed into the storyline. Her books are such a cosy read that just have a way of making you want to curl up in the garden on a hot summers day and this book follows in the same style. Sian is the main character in this book and she is a very ordinary, down to earth character facing normal day to day situations. In the opening of the book Sian makes friends with her older neighbour Fiona and they for a strong friendship and Fiona takes both Sian and little Rory under her wing. The friendship between the two women felt very natural. The storyline focuses on Sian who comes back into contact with Rory’s father but she is waiting for the right moment to tell him. As well as this storyline there is a small sideline which follows Fiona and her looking for male company through internet dating which is a very modern topic and shows the dangers which can occur so there is a great lesson coming across in this story. There was only one thing that bugged me a little with this book and that was Sian’s friend Richard who has strong feelings for Sian, he was the one to persuade her to move to the country yet he knew the man from her past was bound to show up at some point with his mum living close by! 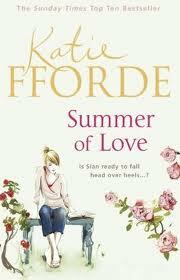 This book was a lovely read and I would say it is one of my favourite books by Katie Fforde. I would highly recommend this book for a nice Sunday afternoon treat! Great review of a book I will now read. I do love Katie's style too - and having read lots of her earlier books have somehow missed out on the last few years of her writing. So it looks like a Summer of Love for me!